On Youtube Karaoke Channel and VEVO Karaoke Channel you can find thousands of karaoke songs ready to play or download. AllMyTube is the powerful software that will allow you to download all video karaoke songs from Youtube and VEVO to your PC o Mac. AllMyTube does a great job in YouTube Karaoke downloading. You are able to download long and large YouTube/Vevo video as well as playlist video, 4K video and 3D YouTube video. 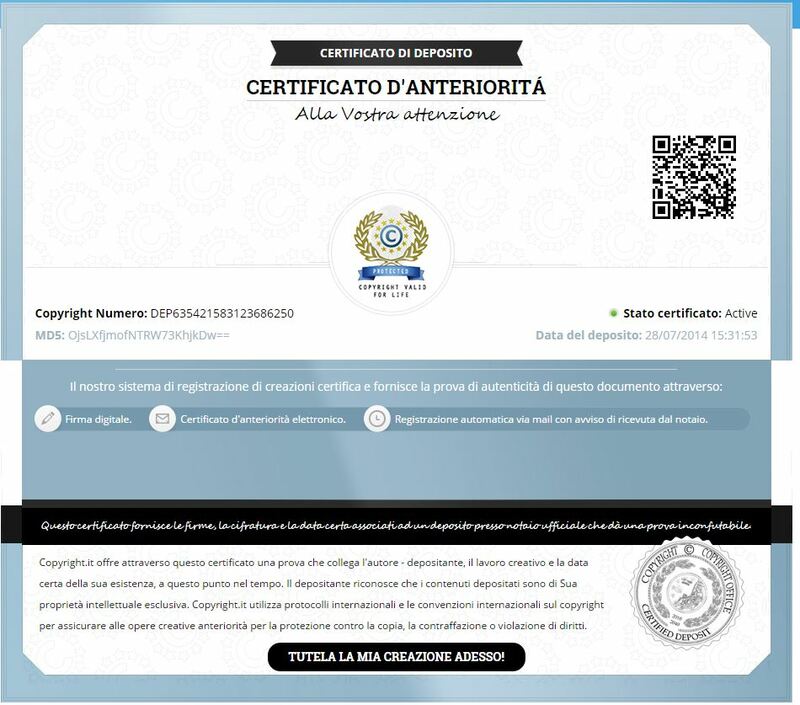 AllMytube will preserve the audio quality and will ensure you to have the best output video. Download the AllMyTube’s free trial version (for Windows and Mac) and start to download video karaoke in MP4 or AVI format and/or get YouTube/VEVO’s videos directly to MP3 audio files without converting. 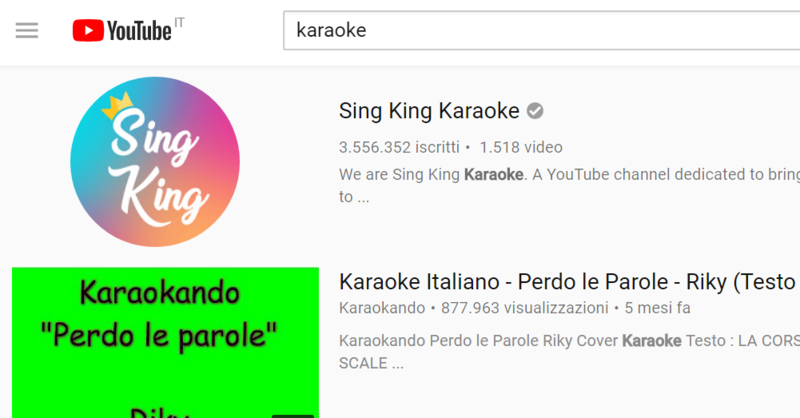 Go on Youtube.com or on Vevo.com and search for “karaoke” songs. You can refine the search by including the title of the song or artist name. 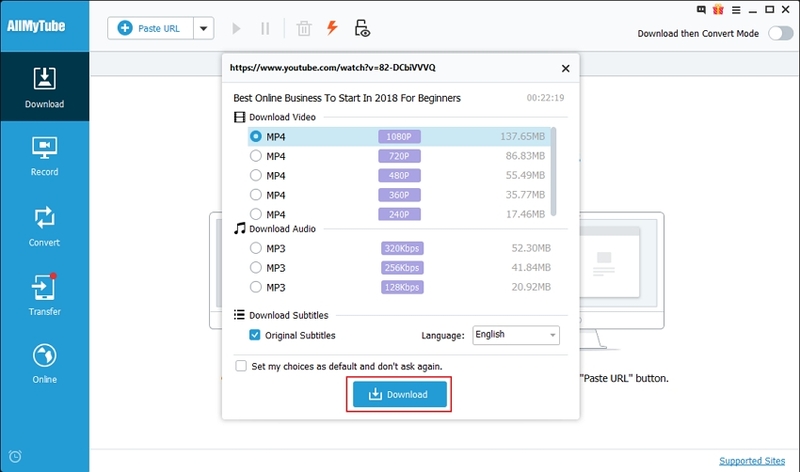 Copy the URL of each video and click the Paste URL button in AllMyTube’s “Downloading” interface. AllMyTube will ask you the output format (mp4 video or mp3 audio) and the quality. Click on DOWNLOAD button to start. After you’ve successfully downloaded yout karaoke video songs, you can also convert them in other video/audio formats. With AllMyTube, you can quickly and easily convert your videos to the optimized format for each device. 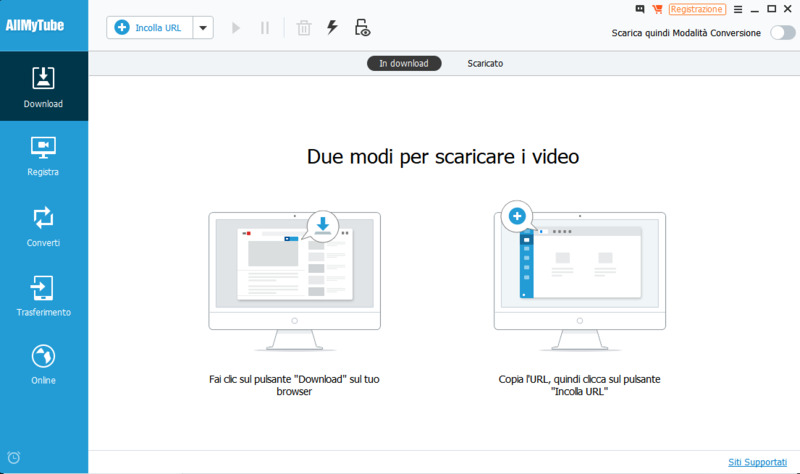 Just select the file from the “Downloaded” Library and hit Convert on the right side of each video item bar. NB: Once you have downloaded your preferred video karaoke songs, you will be able to manage and play them using our Kanto Karaoke Player software. It supports all video karaoke formats and allows you also to create playlists, change pitch and volume, open dual monitor, etc. Great software to download video karaoke from youtube! I love it but I can’t figure out how to move the file to my folder with Karaoke songs. Can you help?